The Tanzanian government has closed its borders with Burundi causing serious panic among Burundi nationals. According to reports, the Tanzanian government has blocked all cargo trucks carrying food products from proceeding to Burundi across the border. For the past two days, only persons and passenger vehicles are allowed to use the border. 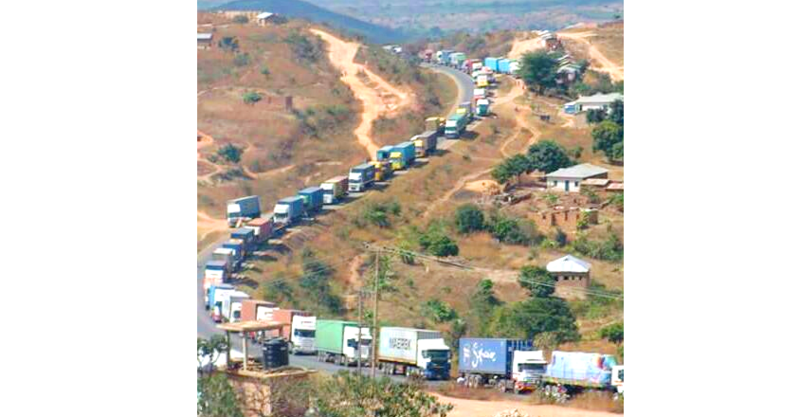 Several cargo trucks loaded with food products are queued along the road into Tanzania. This has caused much panic in Burundi as food shortages increase day by day especially in Burundi’s Makamba province and Muyinga commune. However, Tanzanian Ambassador to Burundi Rajabu Hassan Gamaha took to twitter for the first time just to dismiss the news. But this twitter account is seemingly fake. “Tanzania has not closed border with Burundi. Business continues as usual and enjoy excellent relationship with Burundi,” Gamaha said in a tweet. Burundi has been politically unstable since April last year when President Pierre Nkurunziza sought a third term which was met with stiff resistance and a failed coup. The resulting armed violence has claimed lives of 400 people while 250, 000 displaced. Tanzania already hosts some 130,000 Burundian refugees in overstretched camps while Rwanda hosts more than 100,000 Burundian refugees that fled political instability from their country. Burundi’s President Nkurunziza did not attend the recent African Union Summit in Kigali although the crisis in his country was among the topics discussed. Worse still, a delegation of Burundian officials who had had arrived in Kigali to attend the summit left two days after the meetings preceding the Heads of State Summit had begun.